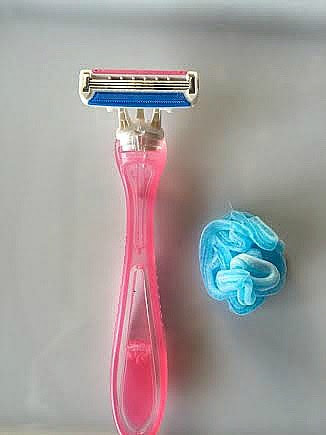 Women’s and Men’s Razors What’s the Difference? Thank you to my new friends at 99 Cent Razor for partnering with me on this post and for sending me a free kit to try. As always, all opinions are 100% mine. We already know that shaving with disposable razors and cartridges is expensive. I’m not here to convince you to switch to a straight edge razor, (scary) or to stop shaving as often, (gross) to save money but I have found an economical way to shave without sacrificing quality or comfort. Real men shave with pink razors! 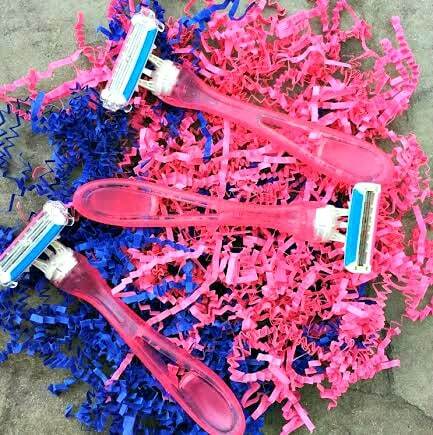 We have four shavers in the family; two blue razor people and two pink razor people. Over the last few weeks, I got everyone using the trial package razors that I received from 99 Cent Razor. I had the men try the pink as well as the blue and the ladies did the same. We were mixing things up because we are just wild and crazy that way! But seriously, I was trying to answer some questions with 99 Cent Razor: Women’s and Men’s Razors, What’s the Difference? Why are women’s razors more expensive than men’s razors? 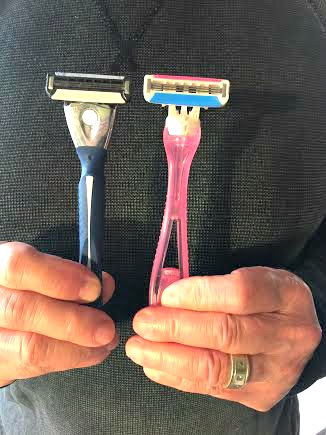 We could see that there is a different in the contour of the handles between the pink and blue, but after our experiment, we all agreed that there was no measurable difference in the quality of the shave at all. The men have to do close up work with noses and necks and most likely shave more often, but the women have to shave a larger area and have to get behind knees and underarms. The razor needs to be able to swivel easily in your hand, and both razors gave us a close shave with no dragging or need to go back over an area. There is a personal preference with choosing a disposable razor vs. changing out a cartridge, but if you are looking for the most economical option, I say go with the blue version ladies! The razors feel very substantial in your hand and they have a nice grasp feature so they are easy to hold onto in the shower. 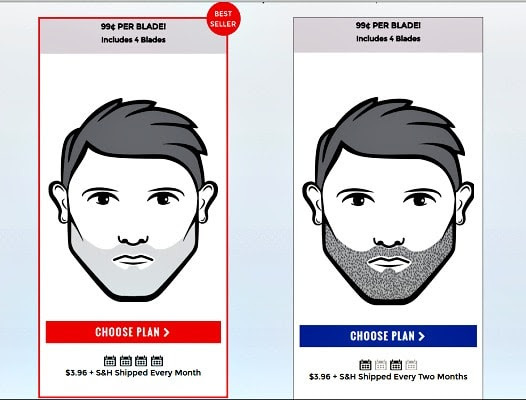 Awhile back, my husband tried a competitor subscription razor club. It has a similar name but in my humble opinion that is where the similarity stops. I tried of a few of those razors and thought the quality was really lacking. Those were like the razors you can buy in the dollar store. Products from 99 Cent Razor do not look like a discount razors at all. You will think you are using one of the top brands, but think how smart you will feel when you remember how much you saved! More with Less Today tip- take a towel and completely dry the razor blades after each use . You will get more good shaves out of your blade when you dry it well after every use. They offer both services! If you want to pay only 99¢, then you can sign up for their subscription service, or you can also purchase ther Starter Kit for $8.00 to try them and then come back to the site and purchase more replacement blades. WHAT DO I RECEIVE IN MY FIRST SUBSCRIPTION? In the first subscription, you’ll receive: four triple blade razor blades along with a handle and a handle holder. After one or two months (depending on your shipping frequency) you will be automatically shipped four razor blades. It’s as simple as: “If you aren’t happy, we aren’t happy.” We are very impressed with our razor blades and wouldn’t sell them if we weren’t so confident in the quality. However if you aren’t happy with them for whatever reason please feel free to contact info@99centrazor.com or call 800.870.2669 and we’ll send you a refund immediately. Have you ever stopped to calculate how much you are paying for razors? I think you would be hard pressed to find a better shave for the money but you should try 99 Cent Razor yourself and let me know what you think! 99 Cent Razor was founded by 18 year old Max Fata. 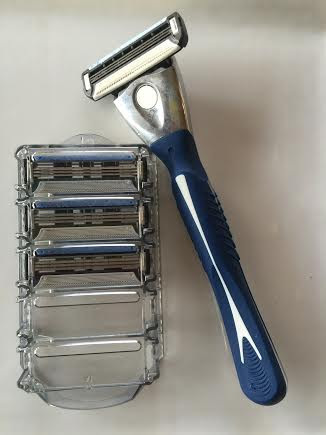 When Max began shaving, he was shocked at how expensive razors were, so he found a better way. 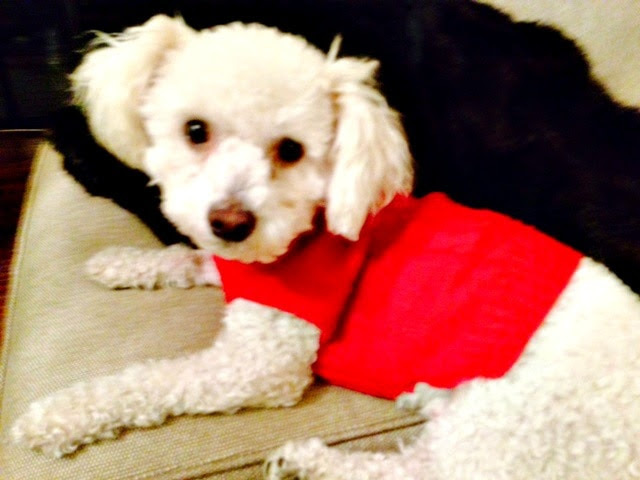 Plus he has a heart for shelter animals like I do! 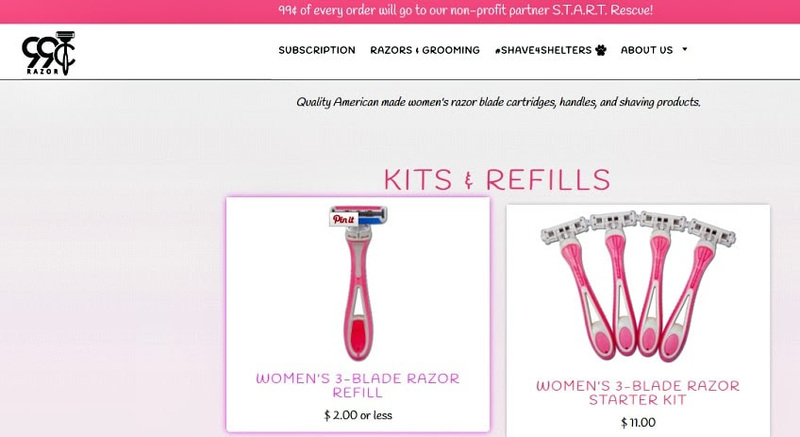 #Shave4Shelters is a program developed by 99 Cent Razor to help the animals! For every order placed on their site, 99¢ will be donated to Shelter Transport Animal Rescue Team (S.T.A.R.T.) who we’ve partnered with for #Shave4Shelters. I have been known to use my husband’s in a pinch and his are definitely better. His are more expensive, though. I’ve used my husbands razors before. I don’t think it really matters which razor you use. I never really paid attention to the price of razors for men and women. I’ll have to take a look at that to see if there is a huge difference or not. I will have to check out 99 Cent Razor. We have three shavers in our family. I am excited to give these a try. I have used my husbands razor and i did not find a difference. These look like great razors. I will have to give 99 Cent Razor a try. I do not find a difference between my husbands razors and mine. We have both used each others when one runs out. 99 Cent Razor sounds like a great idea. I am going to go check out 99 Cent Razors plans. This is a great way to get your razors. I will have to check out the options they have. That sounds like a great option for razors! I am always looking for new ways to save a little money. What a deal! I’m always going through razors! I don’t think there is a difference. I used my husband’s before and now I use mine. It’s the same. Wow, sounds like a great deal on razors. I don’t think I can even find them at the store for that price. Going to have to look into this.